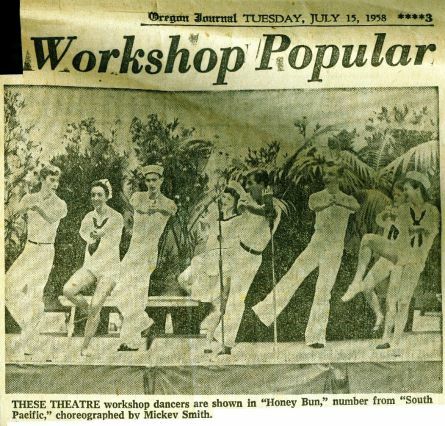 The Rodgers and Hammerstein play was put on by the Portland Public Parks Theater Workshop, and Franny’s brother, Joe was in it (third from the left in the photo). Franny told me that the costumes came from G.I. Joe’s. So, before G.I. Joe’s involvement with the Portland Opera in the 1980s, the store was contributing to the local arts scene! Thank you, Franny, for sharing the photo. This entry was posted in Uncategorized and tagged G.I. Joe's and the arts. Bookmark the permalink.